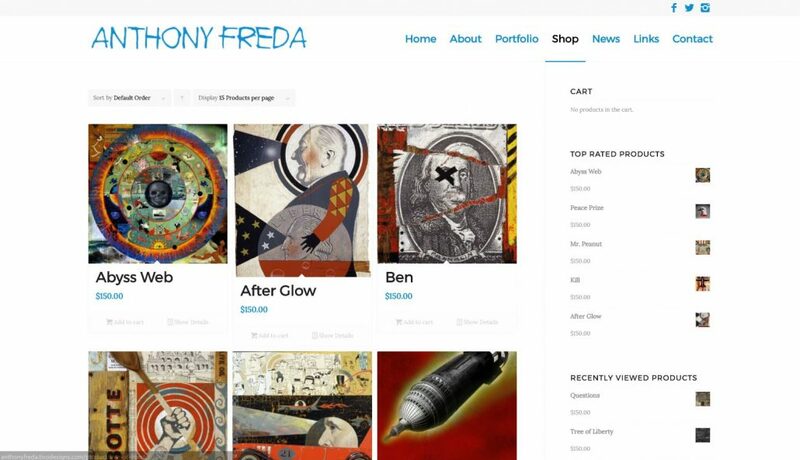 Anthony is an accomplished visual artist who had a dated website that was filled with adware which caused slow loading time. 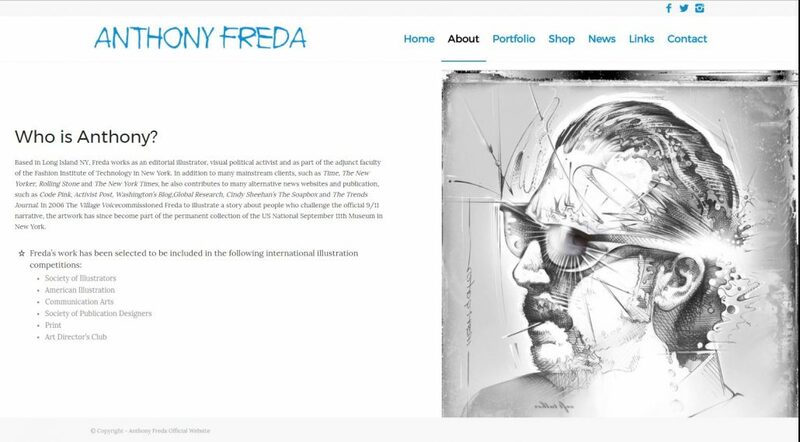 In collaboration with Anthony, we found a layout that could feature his art in a visually striking way but also stayed within his design aesthetic. Because Anthony is a visual artist, his perspective was tantamount to the design and layout. Together, we were able to feature his favorite pieces and in an artistic way that only Anthony could do. 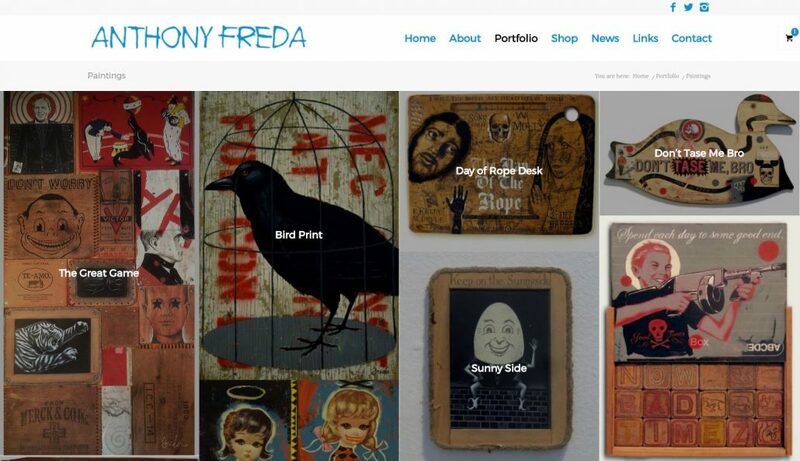 Anthony needed someone to organize his works of art into a cohesive portfolio. 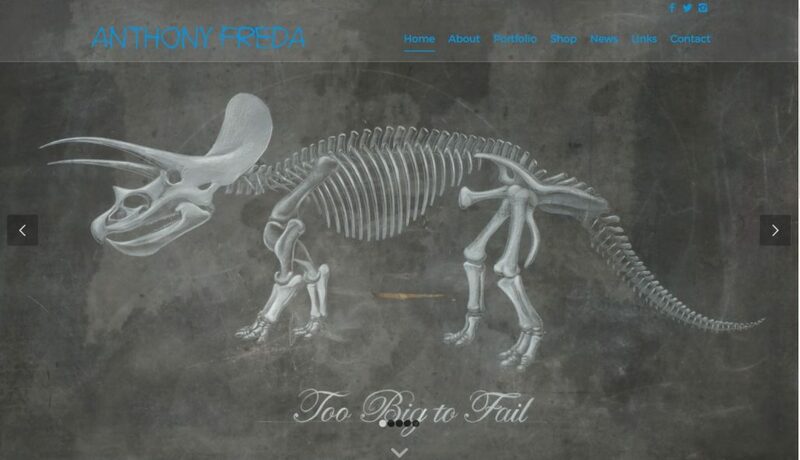 Anthony did not want to have to think about maintaining his site. His mind was put to ease when he found out that I offered maintenance services.